Your floor is an extremely important aspect of your home. The various choices in material and colour alone can change the entire look and feel of a room, not forgetting the importance of maintenance and budget. Carpetright offers you a wide range of carpet, vinyl, laminate flooring, rugs, doormats and accessories, to create the perfect floor! 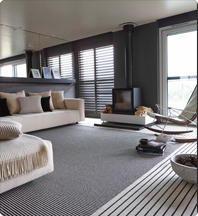 All our staff are professional, knowledgable flooring experts who are trained to guide you through the entire process of choosing a floor right through to the fitting process and maintenance. With over 700 stores in Europe we are able to buy big and sell cheap. Also, our team of qualified buyers travels the globe to find the best flooring in large quantities at the best price. This way you can get high quality product at a price that suits you best.